This program is a semi-transparent on-screen ruler to help you lay out GUIs and Web pages or measure anything on your screen in 5 units. Screen Ruler tool.Measure the distance between two points on your Screen, get the exact location and size of an element on a web page, measure in pixels, centimeters or millimeters, both horizontally and vertically. Measure Schmeasure is a simple screen ruler for measuring the width or height between pixels in any application. Measure Schmeasure is a simple Screen Ruler for measuring the width or height between pixels in any application. Just load it up and measure away. It can be set to always appear on top of other windows and it can measure both horizontally and vertically. You can also fully customize the colors to suit your preference. This Screen Ruler is a great tool that allows you to accurately measure anything on your screen. This Screen Ruler is a great tool that allows you to accurately measure anything on your Screen. This is especially useful when measuring graphics, web page browser sizes or whatever. Screen Ruler can display Pixels, Inches, Picas or Centimeters. 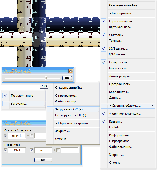 When launched, Screen Ruler will appear horizontal showing approximately 400 Pixels in length. This tool is designed and made for one single purpose - to help you to measure anything on your screen. 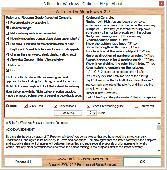 (All-In-One/Multlanguage/Portable)An exquisite, powerful and multifunctional desktop utility. 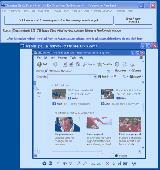 (All-In-One/Multlanguage/Portable)An exquisite, powerful and multifunctional desktop utility. Includes many helpful tools: Capture Screen/Capture color/Screen Ruler/Font Manager/Windows Spy/Privacy eraser/Converter/BackupExpert/Alarm Clock/Post It/Screen Calender/World Clock/System Tweak... and much more. A standalone tool that does not require installation. 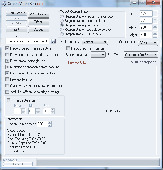 TopTools is a set of utilities for web-designers and GUI-developers. TopTools is a set of utilities for web-designers and GUI-developers. It features a Screen-loupe and a Screen-Ruler seamlessly working together, additional are a base-converter, a color-picker and a Screen-grabber. The main window has a small footprint and optionally minimizes to the system-tray. GAXreloaded is a powerful application for web designers, graphic designers and everyone else who works with graphics. 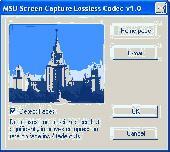 It contains a colorpicker, a Screen Ruler, and a Screen capture tool. The colorpicker allows you to view the color value of every pixel on the Screen in various formats and lets you sample that color. Window Ruler permits the user to measure the window resolution, which is ideal for developers, since you can know how the image is going to fit into the screen.